Did you know that the people of the Faroe Islands have 37 words for fog? It’s just the kind of detail that makes me want to reach for pen and paper and start scribbling down ideas for stories and poems. The archipelago of 18 tiny islands is currently petitioning Google Translate to share their language. Located in the North Atlantic, between the Shetlands, Iceland and Norway, they have created their own Faroe Islands Translate in a bid to have their language taken on by Google. Less than 80,000 people speak Faroese worldwide. To me that sounds like a fabulous feel-good film! Lisa í Dali, a student at the University of the Faroe Islands, is one of the locals involved. Lisa’s favourite Faroese phrase is “um tær ikki dámar veðrið, bíða so bara í 5 minuttir” which means “if you don’t like the weather, just wait five minutes.” Perfect! Use this beautiful story to inspire a piece of writing, and celebrate the power of language. To learn more about the Faroe Islands, visit www.visitfaroeislands.com/en. To fly to the Faroe Islands, visit www.atlantic.fo. 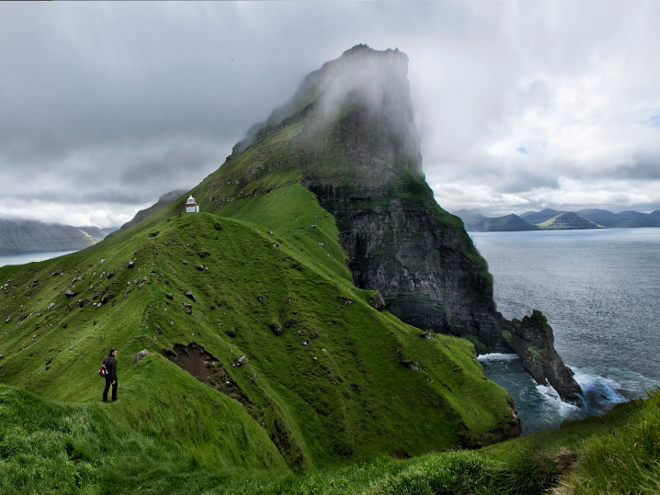 This entry was posted in Writing prompts and tagged creative ideas, inspiration for writers, story ideas, the Faroe Islands, writing inspiration by Judy. Bookmark the permalink.